It's time for another anniversary moment, and it's a two-fer! It's not too hard to guess what I'm talking about when you see this picture! Honestly, I'm pretty sure that if Bear Patch had lived in a previous life, it would have been a ribbon store. 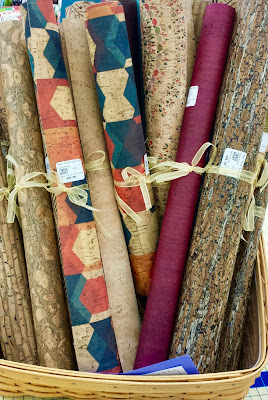 That's the kind of prettiness that is just under the surface when Debbie is choosing goods for the store! 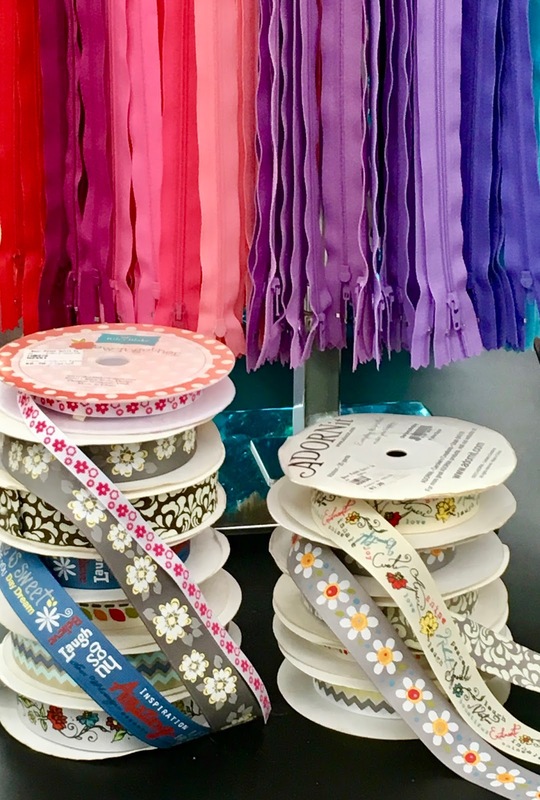 She could easily slip over the edge and buy racks and racks of ribbons and trims! I've been there. I've seen the lust in her eyes when she is surrounded by beautiful ribbons, and I've had to pull her back to reality! It's a tough job, but someone has to do it! And what about those rainbows of zippers!? We love our 14" zippers from Atkinson Designs! We use them in so many ways, it's hard to imagine what life was like before our rack of zippers moved into Bear Patch! These are the best zippers for many of our bag patterns because they can be easily sized down for any length 14" or less. There's no fear of zippers around here, and we'll help you master any zipper anxiety you might have! So, it's December 20th just around the corner. Our final chance to pass out a little present to celebrate our 20 years of doing business right here on the corner of 4th and Banning! 2 of our favorite things with you! Come to the store from 9AM to 9PM to receive your little present! No purchase necessary, one per customer, please. We would love to see many happy faces on Wednesday!